Known for its picturesque streets, stunning architecture, delicious food, and famous Christmas market, there are loads of things to do in Bruges that make it a very popular holiday destination in Belgium, which is why so many people visit each year. 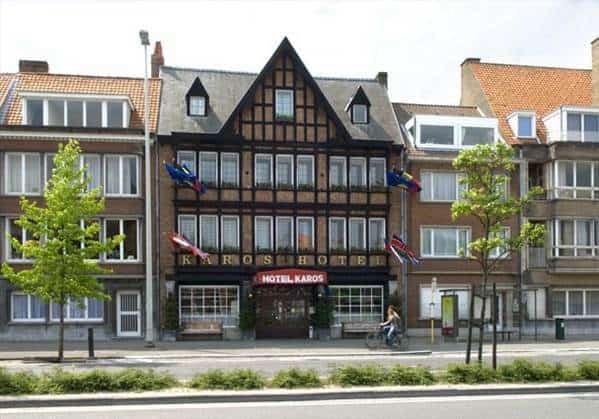 It takes just half an hour to drive from the port in Zeebrugge to Bruges, or an hour and a half from Calais, so it is very convenient to get to from both ports. Alternatively, you could visit the city on our Bruges Mini Cruise which includes handy coach transfers to and from the centre and is perfect for a couple of days away. The variety of things to do in Bruges can be found in its medieval buildings, flowing canals and cobbled streets full of horse-drawn carriages. Once you’ve taken in the beauty of the city centre – a recognised UNESCO World Heritage Site – head to one of the 14 city-owned museums to learn more about its colourful history. Foodies will love scouring the many fine chocolateries for that perfect praline, exploring the vast array of Trappist beers from a choice of alfresco bars, or treating themselves to a meal in one of 40 Michelin-labelled restaurants, with GaultMillau and BibGourmand top spots to enjoy local produce prepared into original dishes. Whatever your holiday style, you’ll love these things to do in Bruges. Travel back in time and see what the city was like in the Middle Ages buy visiting the Historium, one of the top things to do in Bruges. See how the city operated during its Golden Age, and sail into the port using Virtual Reality before relaxing with a drink in the Duvelorium Grand Beer Café. The beating heart of the city since the medieval times, Bruges’ Market Square is one of its most iconic attractions. The belfry has stood tall over the city for hundreds of years, while fairs, tournaments and revolts have happened on the cobbled streets below. You’ll find plenty of restaurants, pubs and cafes surrounding the tower, as well as a market every Wednesday morning. Take a walk from the centre of Bruges along the canal and you’ll soon come upon this stunning spot. The Kruispoort Gate has stood tall since the end of the 13th century, which means you can walk in the footsteps of historic figures such as Holy Roman Emperor Charles V and Napoleon, who used it to enter the city. This city-owned museum is housed on the site of a medieval abbey, and displays a variety of Flemish and Belgian artworks spanning centuries. 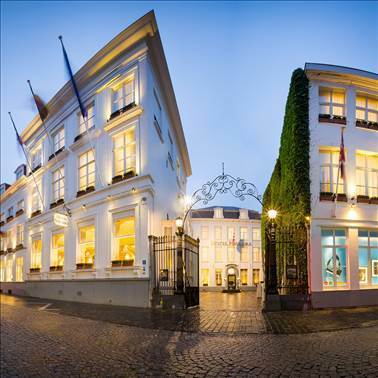 Stop here for fine examples from masters such as Jan van Eyck, René Magritte and Gerard David. Bruges’ oldest café recently celebrated its 500th birthday. Tucked down a side street and boasting a peaceful garden, the venue’s unique atmosphere makes it a welcoming stop for locals and visitors alike. The only active brewery in the city centre houses a museum chronicling Belgium’s most famous export alongside its beer selection. Enjoy a tour – though be prepared for stairs – before sitting back with a drink and a beautiful view of the canals. A key industry for the city, Bruges lace has been sold all over the world for centuries. This fascinating collection is accompanied by live demonstrations and workshops so that you can try out the traditional techniques for yourself. Finish your trip with an evening of live music in this stunning venue. Listed in 1001 Buildings You Must See Before You Die, the Concert Hall – or Concertgebouw – was built upon Bruges being named European Capital of Culture 2002. It has played host to some of the world’s best contemporary dance and classical music performances ever since.